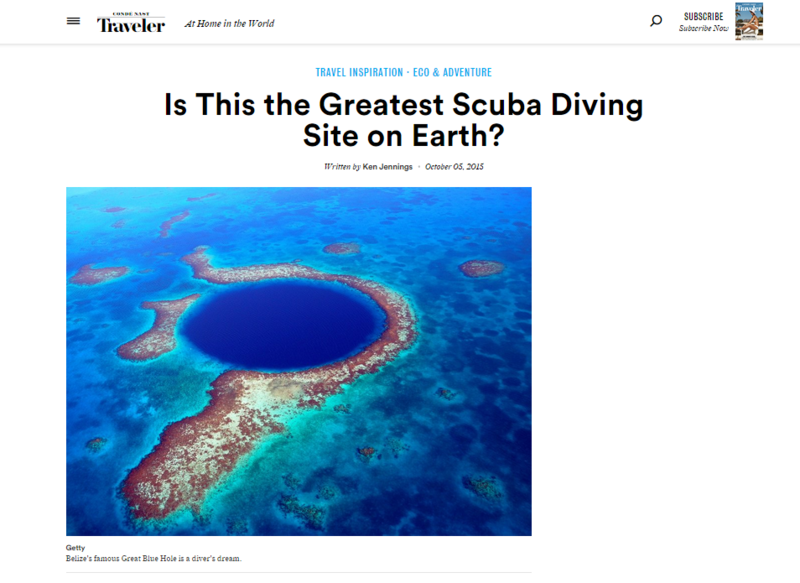 “Is This the Greatest Scuba Diving Site on Earth?” – Yes! “When we see sinkholes on the news, they’re usually disastrous and frightening, swallowing up Australian campgrounds and Florida used car lots with abandon. But let’s not forget the fun, chill kind of sinkhole: the underwater kind! The Great Blue Hole off of Belize, for example, is not just the most obviously named place in the world (tied for #1 with Australia’s Great Sandy Desert). It’s also a bucket list destination for just about every scuba diver on the planet.” Read more here and check out our tailor made Dive Down trip. Comments Off on “Is This the Greatest Scuba Diving Site on Earth?” – Yes!